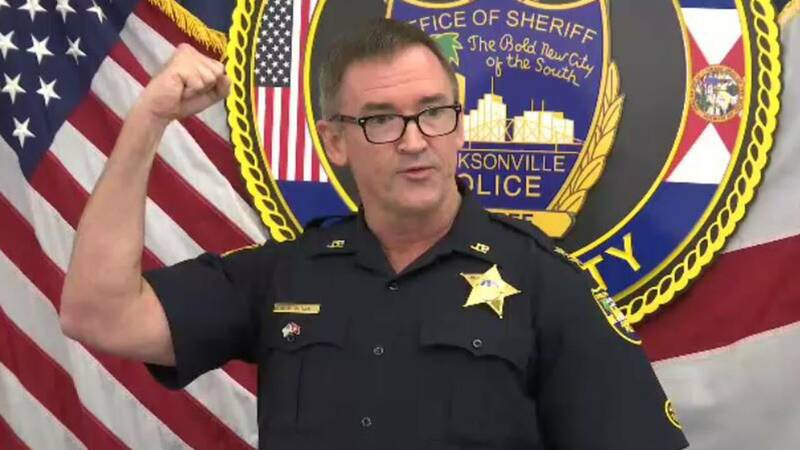 JACKSONVILLE, Fla. - Police said a 52-year-old man refused multiple orders to put down a 8-inch knife Saturday morning before he was shot and killed by a police officer, the Jacksonville Sheriff's Office announced Sunday. Harold Kraai was shot and killed by Officer R.W. Futch, a 23-year veteran of the JSO, according to Chief of Investigations Chris Butler. Police said Kraai held the knife over his head in a threatening manner and told police to kill him as he continued to approach the officer. Police provided a photo of the knife they said was on the ground in the front yard of the home. "Kraai was 6-8 feet away from Futch when the officer shot him in the torso," Butler said. "Eight rounds had been fired from the officer's gun, just 10 seconds after he arrived at the home on Avery Drive." "The suspect’s holding it over his head while he’s advancing on the officer. It’s not like a slow casual walk or anything. He’s charging toward the officer. 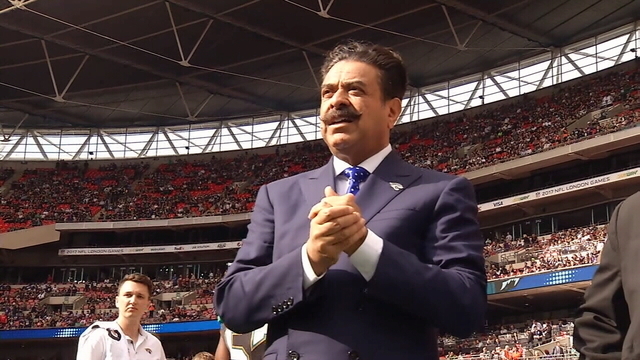 So at that time the officer was totally lawful in the application of deadly force," said Butler. Of those violations, Futch received four written reprimands and was ordered to undergo formal counseling ten times. The second officer to arrive on the scene has been identified as Officer H. Lopez, a 24-year veteran, who pulled up seconds after Kutch. Prior to the shooting, police had been called out to the home eight times since January 2016 for domestic violence, auto theft, aggravated battery and more, according to Butler. Kraai was hospitalized for mental health issues four times since 2009, according to police. 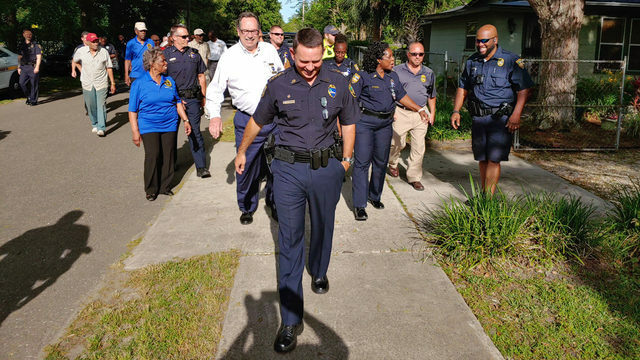 Officers were not wearing body cameras at the time of the shooting and Futch has been placed on administrative duty until after the incident is investigated by the state attorney's office and JSO's Response to Resistance Review Board. Butler said Futch had never been involved in any other use of deadly force incidents until the shooting Saturday. Family members said they don't care what happened because Kraai should be alive. Jessica Jordan, Kraai's niece, called her uncle a gentle giant who battled schizophrenia. "You don't shoot a mentally ill person," Jordan said. "You talk to them." "Family members told 911 operators that the person in the home was breaking things and damaged a car," JSO Chief of Investigations Chris Butler said. "While police were responding to that call, the individual himself called 911 and told the operator that his mom was mean to him and he had plenty of weapons and was ready for anyone who comes to the door and will kill him with his bare hands," said Butler. Jacqulie Waver, Kraai's mother, said she placed the call to police for help with her mentally ill son after he became violent and smashed her car window. "All I wanted was some help with my son," Waver said. "That’s all I wanted was some help." Waver said police could have used other ways to control her son. "They could’ve done other methods," Waver said. "They’ve dealt with Harold for years." Waver said her son has been mentally ill for years and and recently suffered head trauma from a car accident. Jordan said is planning a peaceful protest in honor of her uncle. "We're very upset about this," Jordan said. The family said Sunday that they have a lawyer and will no longer be commenting.